On 6th May 2017, my family and I celebrated my mum's 50th birthday and I thought that I'd share with you all some pictures of the memories we made. I want to say a massive thank you to Penny Cards, Create A Cake and The Chinese Buffet in St Helens for making my mum's 50th birthday celebrations wonderful, we really couldn't have asked for anything better. Loving the decor and everything pink! Looks absolutely stunning! Happy belated to your mum! Happy Birthday to your lovely Mumma! 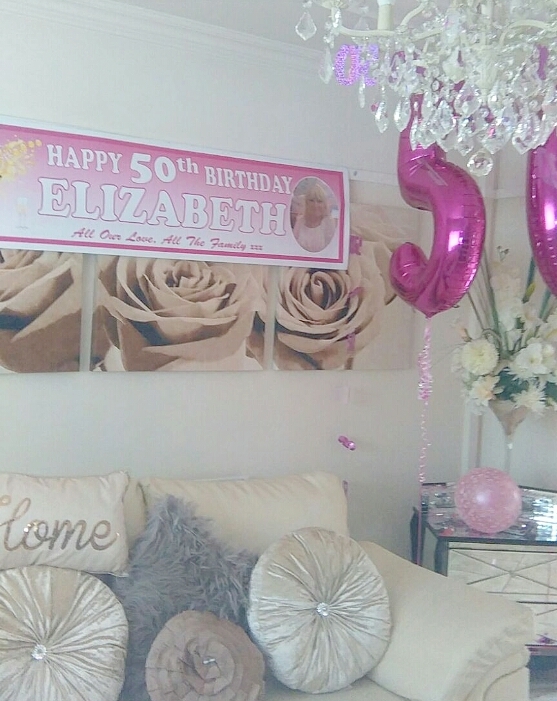 All the decor looks amazing, I'm sure she had a fantastic time! She definitely seems like a girly girl hehe! I'm so impressed with the cake as well, it's almost too pretty to eat ... Almost! ;-) A Chinese buffet sounds like a fab way to celebrate to me! 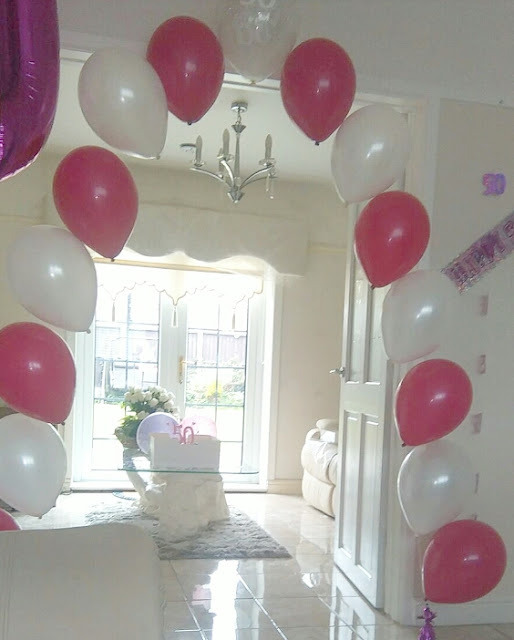 I love all of the pink and the decor! 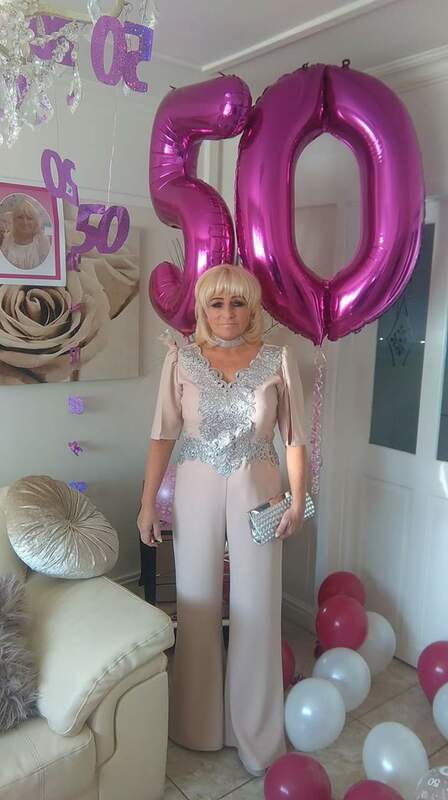 Hope your mum had an amazing birthday, she looks fantastic. Chinese buffet, sounds fab, must remember that for my next birthday! This is so pretty- love the colour coordinated decor! 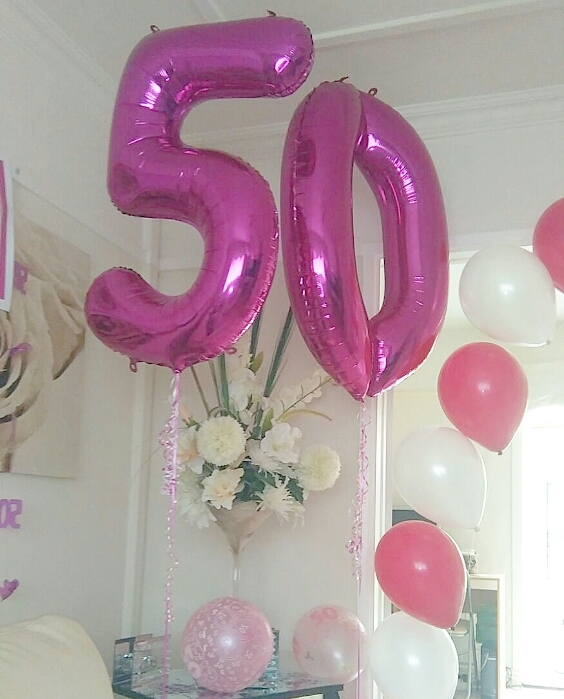 I particularly like the 50 shaped balloons. 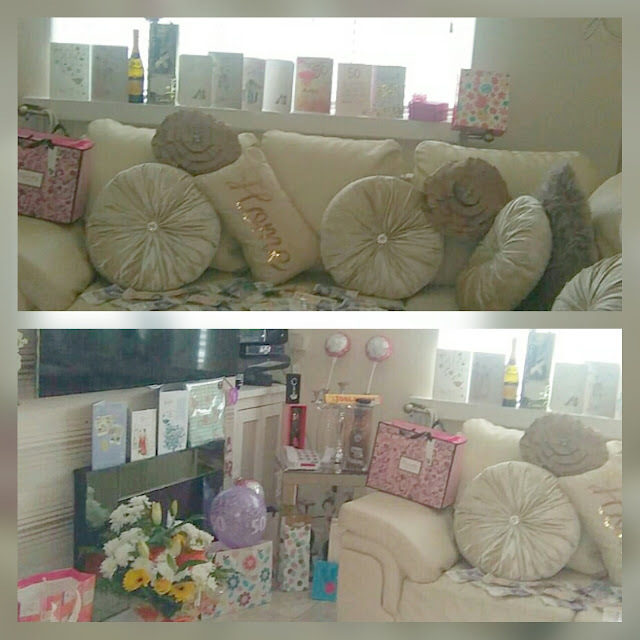 This is so cute, I hope your mum had a wonderful day! This all looks so fun and girly, I love it! The cake looks amazing also, and I'd love a Chinese buffet! Oooh, that cake is absolutely gorgeous! 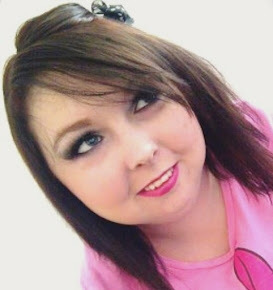 I can see where you get your love of makeup! 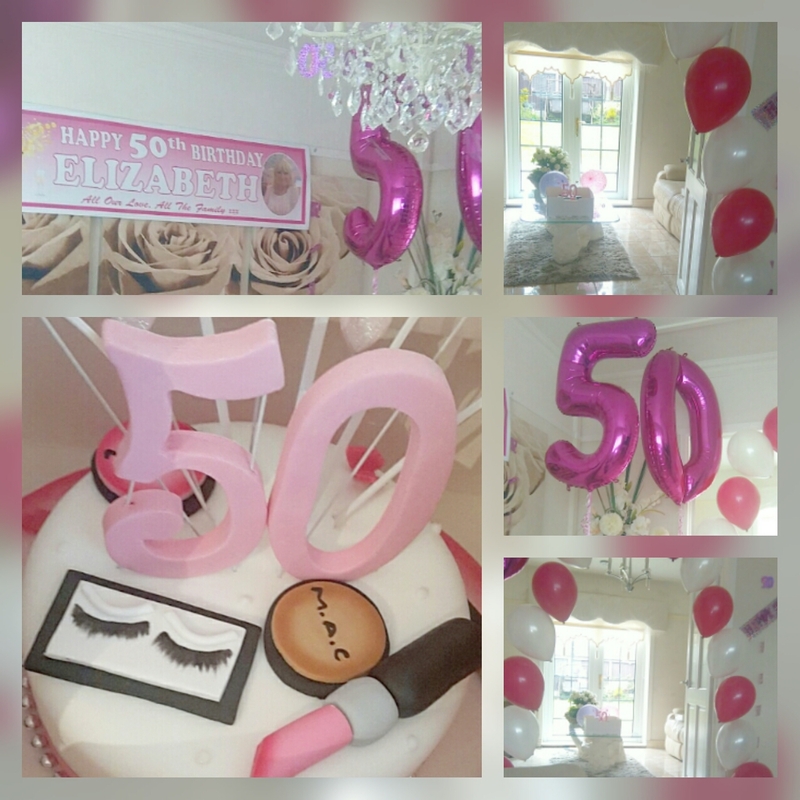 Hope your mom enjoyed her big day <3 <3 <3! Aw! This all looks so lovely; I love the colour coordination, and that cake looks amazing! 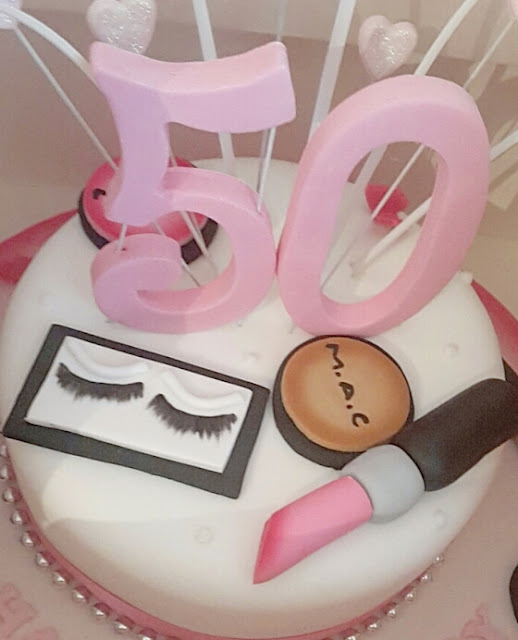 The cake looks so amazing!! !